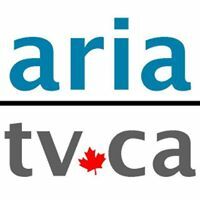 General TV Channel / ARIA TV - A Cross-cultural Persian TV from Vancouver, Canada. Ramin Mohseni, Founder and Executive Producer. 4 weekly shows on Shaw Multicultural Channel (Shaw-116) and OMNI BC Channel (Shaw-8, Telus-119). Also Online at: www.AriaTelevision.com, YouTube.com/AriaTVCanada, Facebook.com/AriaTelevision. Shaw Multicultural Channel (Shaw-116) & OMNI BC Channel (Shaw-8, Telus-119). ARIA TV STUDIO: Vancouver Professional Video Production & Multi-camera HD Live Streaming Service.